Updated with Visual Studio 2019 support. I recently started using Tower as my Git client in Windows, it's great in many aspects, but it doesn't ship with any Diff/Merge capabilities. It relies on 3rd party tool to supply that feature. It comes with a long list of supported tools, but my two default editors aren't part of that list. Visual Studio and Visual Studio Code. It should automatically detect the Enterprise, Professional or Community Edition of Visual Studio 2017, 2019 and 2017 Preview and 2019 Preview, or the stand-alone installation of Team Explorer. 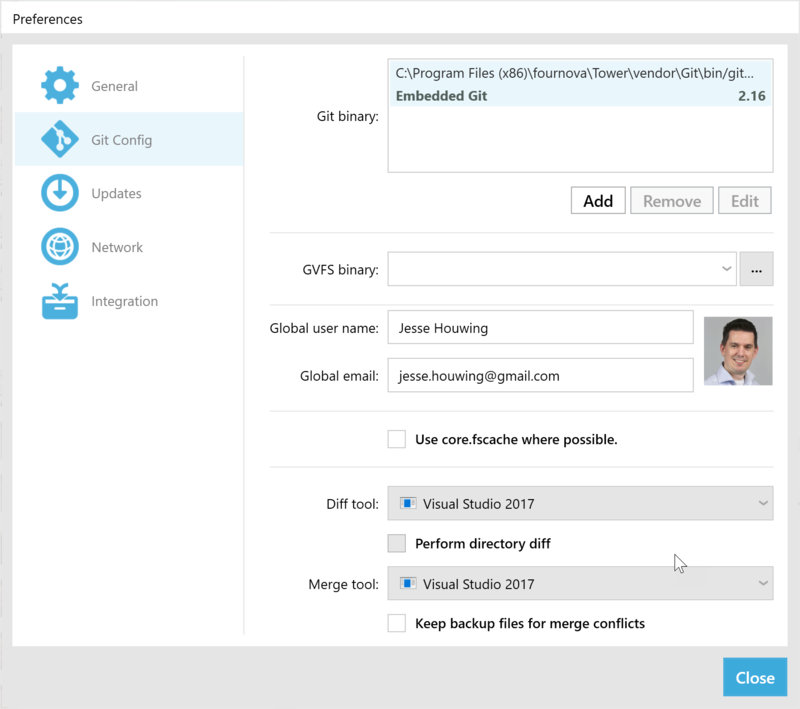 Select Visual Studio 2017 as your Diff and Merge tool. Due to changes in how Microsoft stores the Installation Path it's not easy to grab this from the registry, so if you're not using the default installation path, you may need to update the search paths above. Visual Studio not your tool of choice? It's pretty straightforward to add your own!